Birch are popular trees well known for their bark and often purchased as ornamental trees for landscapers. While commonly planted, many birch trees have a hard time surviving because the insects that infect them, such as the leaf miner and birch borer, can be deadly, and because birch trees are really picky about their soil. Birch trees usually have yellow, oval shaped leaves in the fall. Some have single stems, though many are made up of several. The flowers produced by birch trees are green and have no petals. 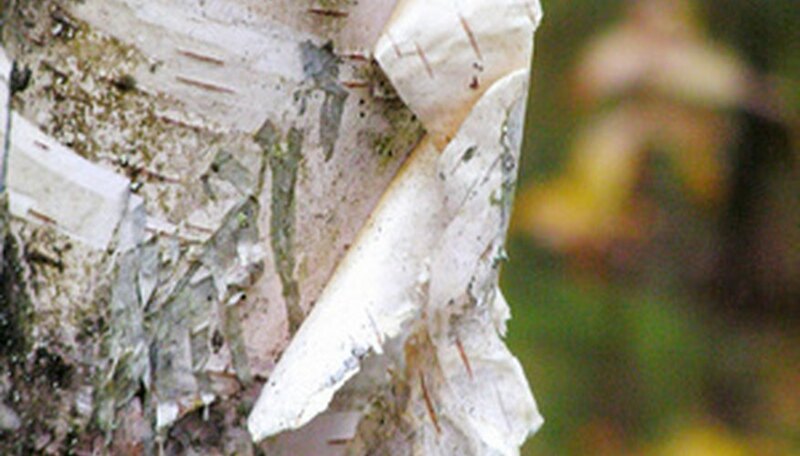 Birch trees sometimes have smooth bark, though with some, it peels. The bark can be orange, white or silver. Birch trees have a difficult time surviving and often die after a few years. Death is usually the result of vulnerability to pests, and many planters do not plant birch trees in locations optimal for their growth. If given the right elements, however, birch trees can last for 40 to 50 years and grow to a height of 40 to 50 feet. Birch trees like cool and moist soil. Its root system is shallow, which means the roots cannot travel deeply to find hidden water reserves. If the soil is very dry or hot, the roots will quickly dry up and the birch tree won't survive. A birch tree also needs plenty of sun to grow well, but that can also dry up moisture. Plant a birch tree where the sun is partially blocked so it reaches the leaves but not the ground. Most birch trees like soil that is somewhat acidic, though the paper birch does not mind alkaline soil. Birch trees like soil that drains well, though river birch trees can handle more moisture. One of the best ways to keep the soil optimal for the birch tree is to mulch it. This helps the soil stay moist and cool and prevents other plants from competing. Birch trees usually need to be watered often because of the shallow root system. White birch trees are susceptible to bronze birch borers. The leaf miner pest attacks paper birch, white birch, canoe birch, grey birch, European white birch, weeping birch and the whitespire birch. Birch borers can be combated with insecticide applied to the bark. Leaf miners can be combated by pulling infected leaves off and keeping the tree healthy. How Do I Tell a Birch Tree From a Poplar Tree?